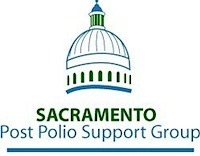 The Sacramento Post Polio Support Group was organized in 1996. Our group meets regularly to offer support, provide meaningful education and encourage advocacy for those survivors of polio who are now experiencing Post Polio Syndrome (PPS) and the medical community. Our members strive to help others in seeking an appropriate diagnosis, finding effective treatments, and assisting with necessary life style changes despite the increase of limitations caused by PPS. Spouses, family and friends of those with PPS are equal members and partners in our group. In addition to expert speakers and the sharing of knowledge, we often enjoy social events among our many activities. Please come and join us. Our group attempts to be a supportive and caring community to anyone affected by the pain, weakness, fatigue and the effects of PPS. Our new meeting location. 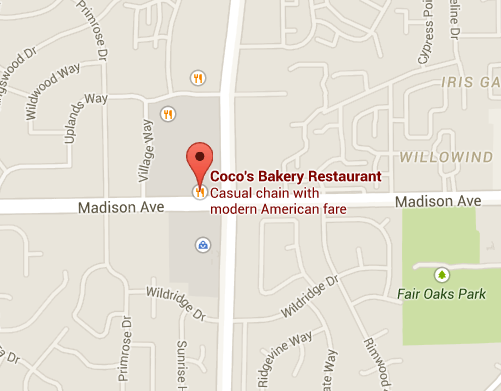 Coco's Bakery and Restaurant, 7887 Madison Avenue (at Sunrise Boulevard), Citrus Heights. The meeting will start at 11:30 AM. 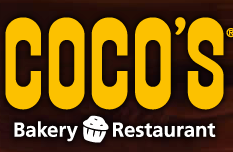 Join us at Coco's.